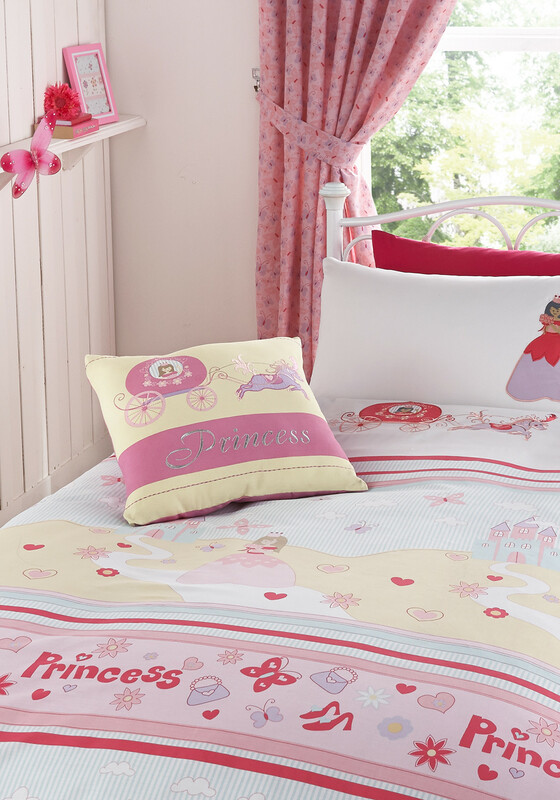 Complete your little girl’s Princess bedroom with this fairytale cushion from Kids’ Club. A prancing pink pony draws the Princess in her carriage, above an embroidered title. Plain pink on the reverse. Easy care cotton. Matching items available separately.